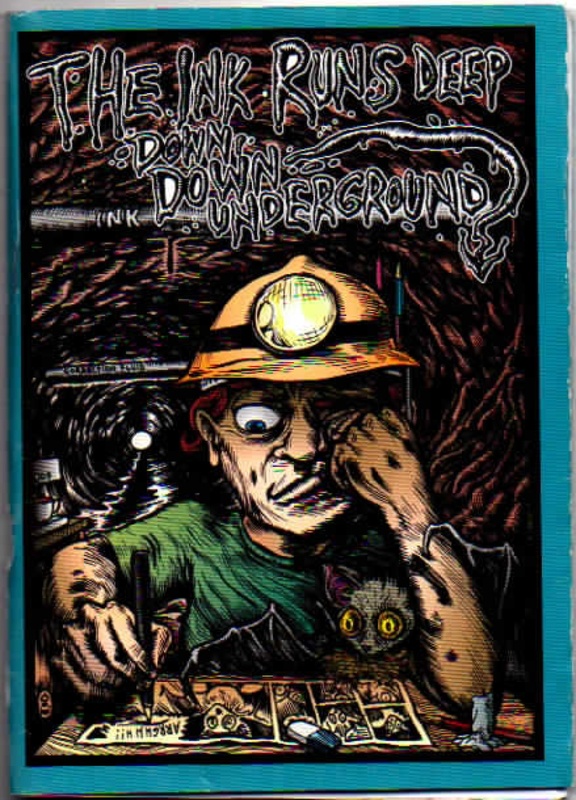 Underground comics are the subject of this post, Australian underground or alternative comics as they are better known. Firstly, an exhibition that Glenn Smith curated called The Ink Runs Deep Down, Down Underground at the Orange Regional Gallery in New South Wales in 2005, and then a conference organised by Donald Ault called Underground(s) at the University of Florida in 2003. 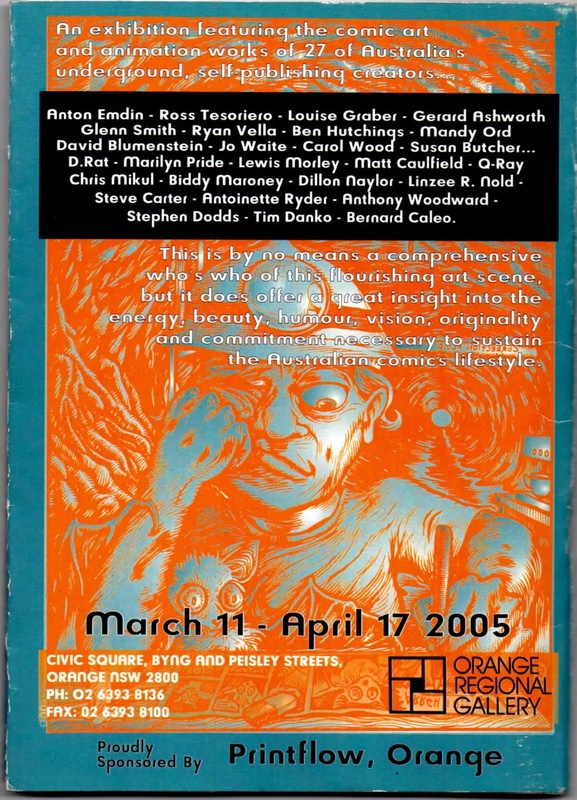 I was involved with both, writing an essay “Art From The Inkubator”, for the exhibition catalogue in Orange and opening the exhibition, and presenting a paper “Down Under Ground: Emotional and Oppositional Outpourings from Sydney’s Subculture in the Comics of Glenn Smith” at the Florida conference. The successive waves of Australian alternative comics produced since the 1980s feature a raw and spontaneous graphic style, an irreverent attitude and D.I.Y. Punk influenced approach to production, different from mainstream approaches to comics production in that they could be pluralistic, wide-ranging, antagonistic and mocking, containing taboo themes. The exhibition in Orange celebrated the creative expression behind these comics, that much maligned art form usually consigned to the pop culture trash bin, but there elevated to the gallery wall. Creators featured in the exhibition are listed on the back cover of the exhibition catalogue, above. They exhibited applications of comic art in animation, painting, posters, book covers, and skate boards and a range of mediums from pen and ink to digital imaging. The day after the opening I went to the Orange farmers’ market and had the sweetest apples and tastiest bacon and egg-roll ever! Display of Cruel World minicomics by Anton Emdin. 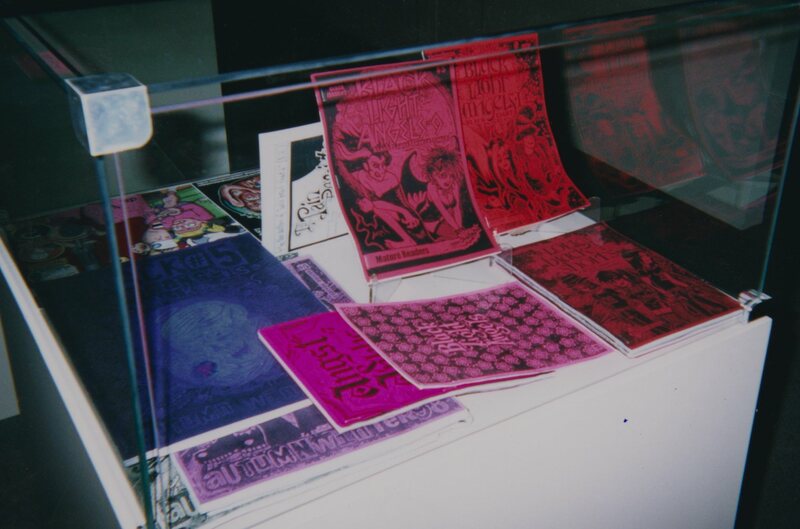 Display of Black Light Angels minicomics by Louise Graber. Commenting on the emergence of the underground comix in Australia in his book Panel By Panel, John Ryan pointed to the social context of the 1970’s as a period in which a sense of national pride developed and led to a consequent interest in locally made comics. 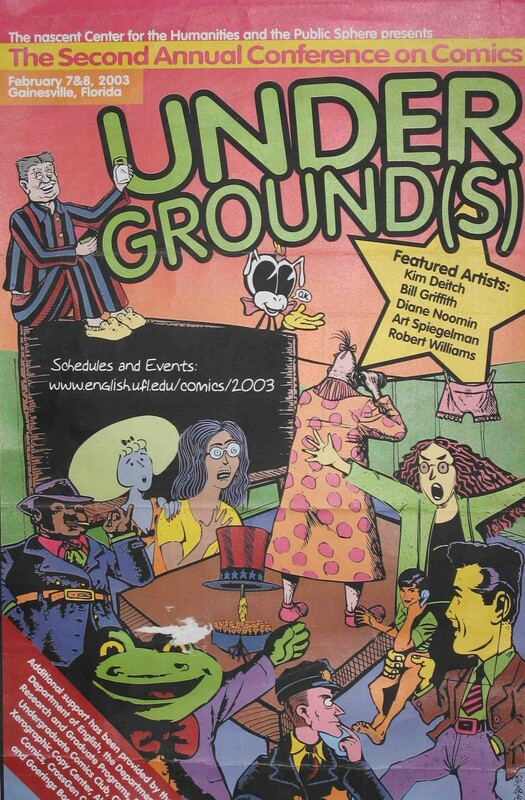 That first wave of Australian alternative comics was seemingly motivated by the North American Underground Comix movement. Like the Abstract Expressionist art movement of the 1950s, which Australia seemed to have mysteriously imported, rather than organically grown, these comics initially appeared derivative but later developed an Australian style. 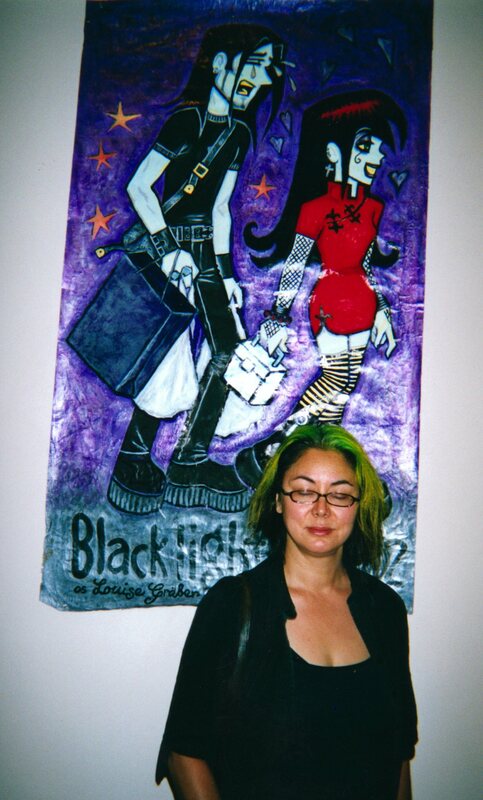 Louise Graber with a painting of a panel from her comic Black Light Angels in the exhibition. These comics can be seen as an echo of the Underground comix of the late 1960s that began in San Francisco, different in style and content to the mainstream North American super-hero themed comics, they opened up the way for autobiographical and artform genres. At the Florida conference it was exciting to hear from some of the creative figures from the original Underground as well as to describe Glenno’s work, and argue that it had some resonance with what they had done. This is the twelth in a series of posts called Archives of Australian Comics History that document moments in the recent history of Australian comics, particularly alternative comics and the Australian Small Press. I started researching this subject in the late 1990s and it eventually led to my PhD thesis: Ph.D. Macquarie University, Division of Society, Culture, Media and Philosophy, A Study Of Contemporary Australian Alternative Comics 1992-2000 With Particular Reference To The Work Of Naylor, Smith, Danko And Ord, 2003. On completion of the research I donated the materials and comics I had collected to the National Library of Australia: Michael Hill Collection of Australian Comics. 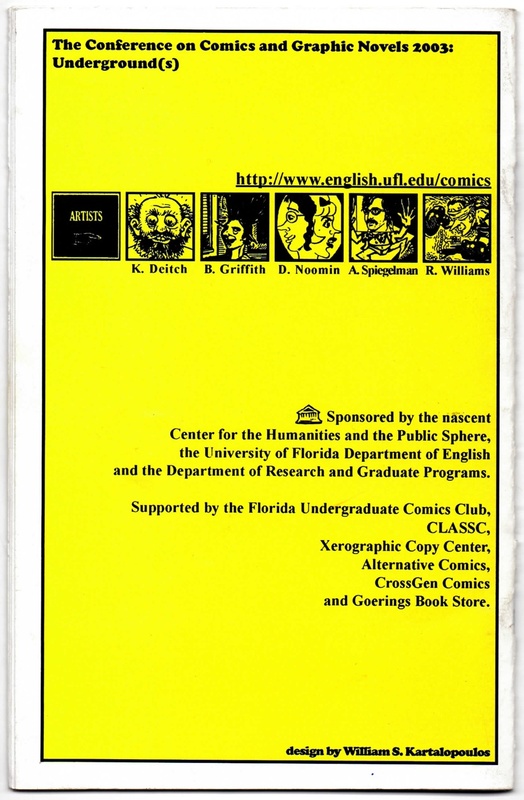 This entry was posted in Archive of Australian Alternative Comics, Art, Comics and tagged alternative comics, Anthony Woodward, Antoinette Rydyr, Ben Hutchings, Bernard Caleo, Biddy Maroney, Carol Wood, Chris Mikul, D.Rat, David Blumenstein, Dillon Naylor, Donald Ault, Gerard Ashworth, Glenn Smith, Jo Waite, John Ryan, Lewis Morley, Linzee R. Arnold, Louise Graber, Mandy Ord, Marilyn Pride, Matt Caulfield, Q-Ray, Ross Tesoriero, Ryan Vella, Stephen Dodds, Steve Carter, Susan Butcher, Tim Danko by Doctor Comics. Bookmark the permalink. Creator and former Director of the Master of Animation course at the University of Technology, Sydney, Michael Hill has a Master's degree in animation and a PhD in comics, prompting his introduction on ABC Radio as “Doctor Comics”. A member of the editorial boards of the International Journal of Comic Art, the Comics Grid Journal of Comics Scholarship and the Advisory Committee of the Q-Collection Comic Book Preservation Project, he has delivered public lectures on Anime and Manga and held academic directorships in Interdisciplinary Studies, Design and Visual Communication. 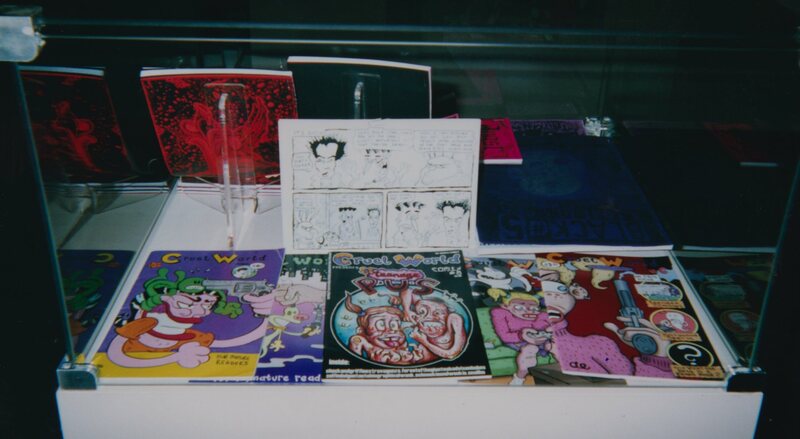 Having donated his collection of research materials on Australian alternative comics to the National Library of Australia he is now active in the artistic domain and creating his own comic Blotting Paper.